Global smartphone shipments grew 3% YoY in Q2 2017. 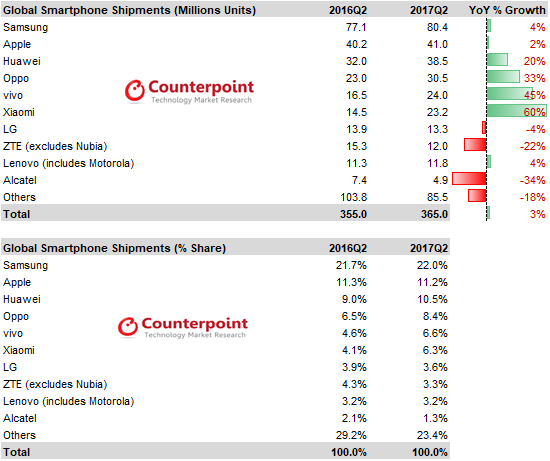 The market continues to grow in single digits with the second half of 2017 expected to add incremental growth cycle thanks to the new iPhone and additional new products from other OEMs. 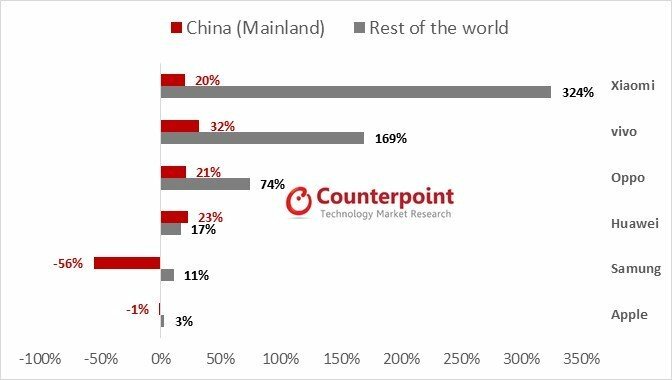 Chinese brands now hold a record 48% smartphone market share worldwide as these brands continue to scale aggressively beyond mainland China. These brands have been successful in not only cementing their positions in their home country, but also managing to expand beyond mainland China at the same time. Most of these players took offline as the primary channel strategy to enter new markets. 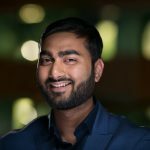 In addition they have backed their channel strategies with aggressive marketing spend in both above-the-line and below-the-line campaigns. This has made them accessible to partners, including operators, in new territories. These brands will continue to expand their reach beyond China during the second half of this year. India, South Asia and Africa will be the key focus geographies to drive additional scale and market share. The geographic diversification will also help offset any turbulence in the domestic China market, which is increasingly saturated. Brands are striving hard for new forms of hardware differentiation including bezel-free, alternative aspect ratio and dual screen smartphones. Currently such hardware differentiation is happening at the flagship level but we can expect such design changes to percolate to lower price bands in time. This will augment growth in the mid-range smartphone segment from later in 2018. In China, Huawei continued to capture the top spot in 2Q17 ahead of rivals OPPO and vivo, shipping higher volumes into the channels. Huawei’s Nova and Enjoyseries, along with flagship P10 were in strong demand during the quarter. Huawei’s share in the premium segment also expanded due to the strong performance of its Mate and P series.